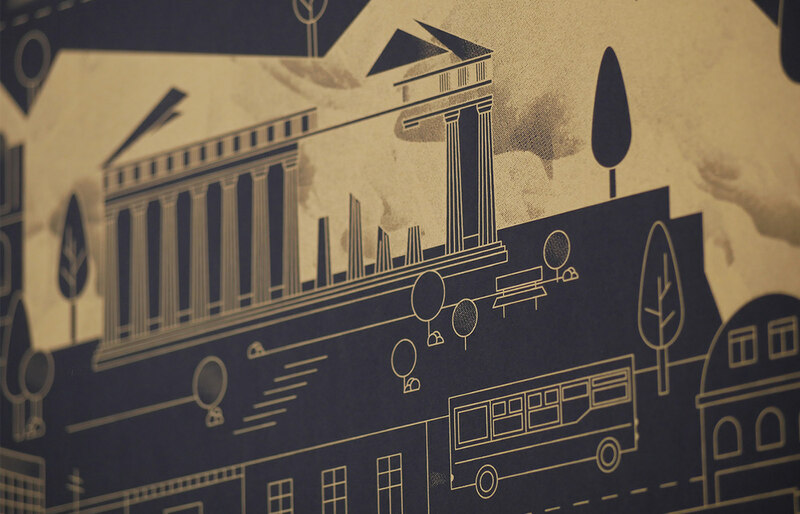 – Do you love walking under the burning sun? 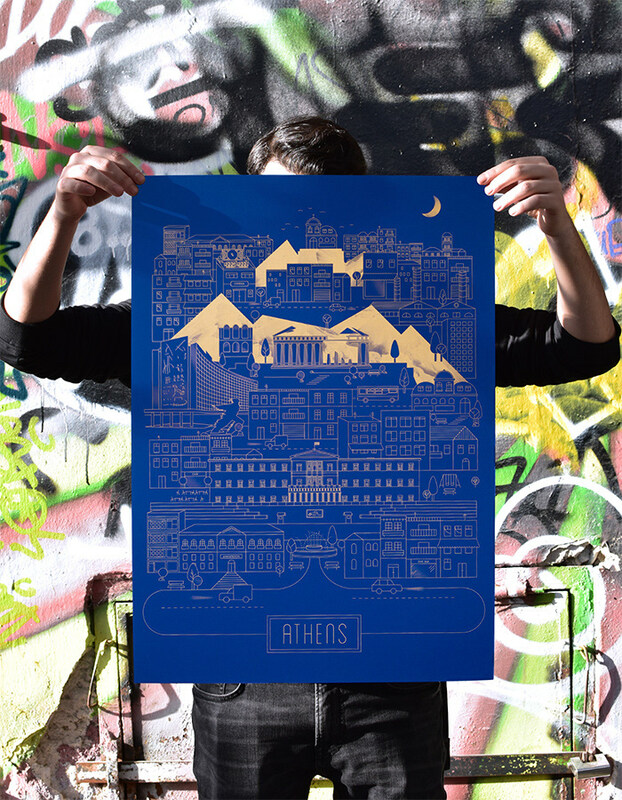 – Do you think that pittoresque alleys are boring unless they come with graffitis? 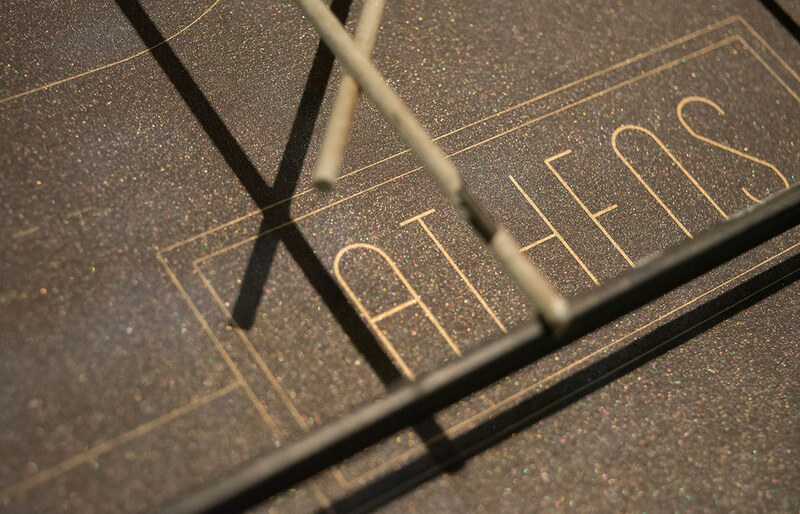 – Do you enjoy exploring many different options in food & drink at 11.30 pm? 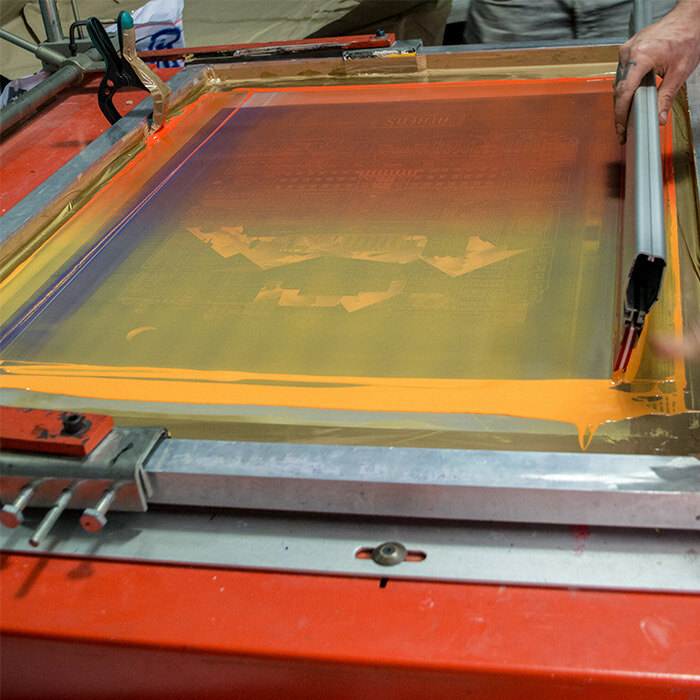 – Do you believe there is a special aura in some places leaving their print on you? 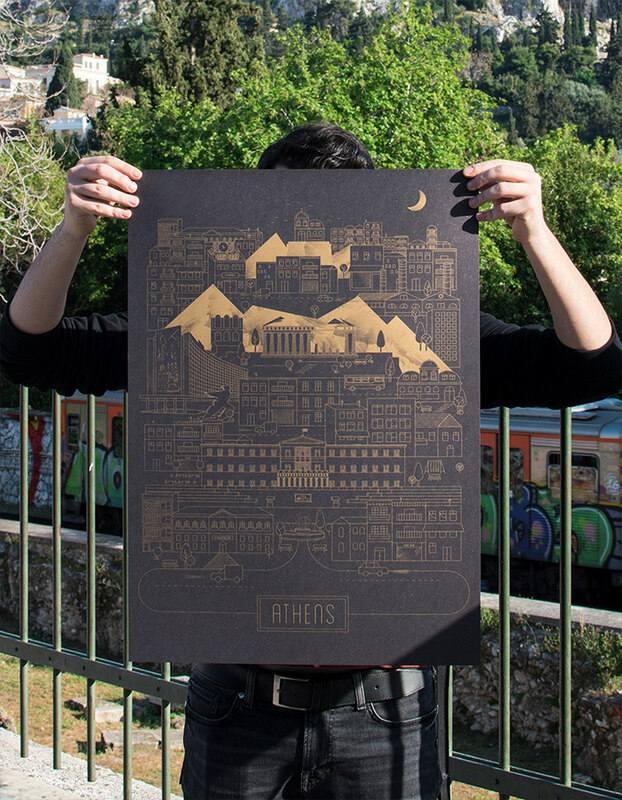 Now that you know, can you blame the Athenians for loving their city this much? 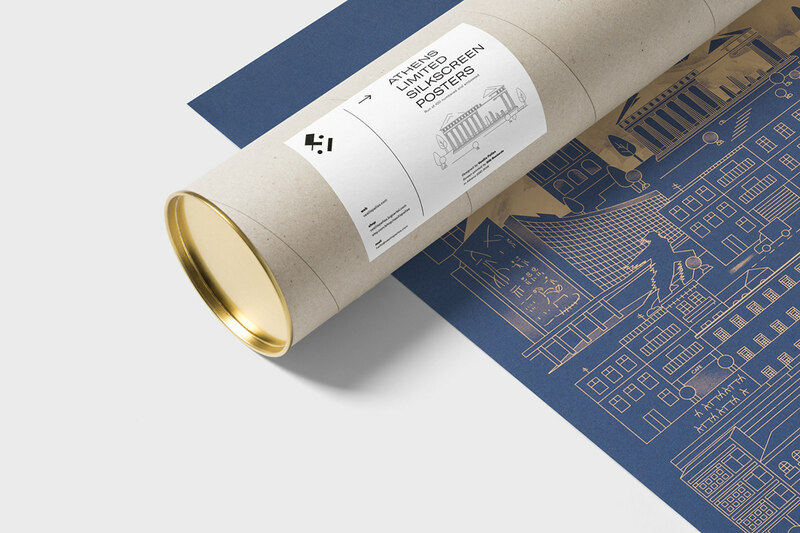 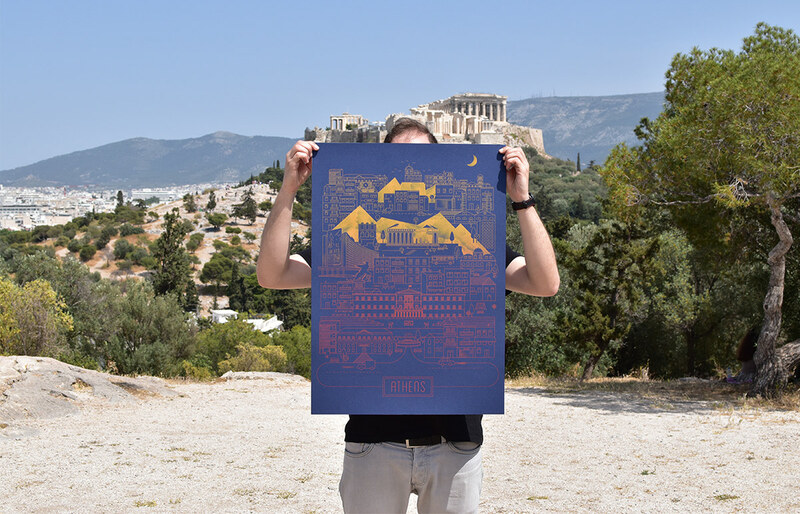 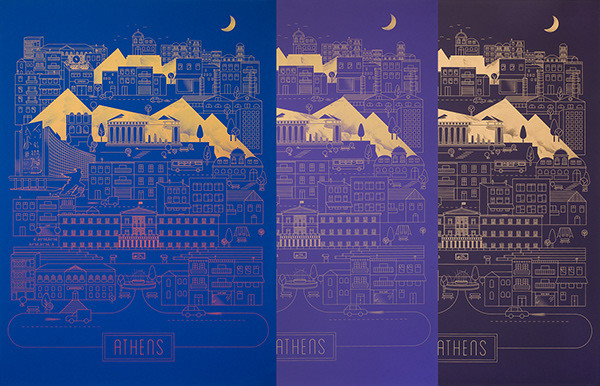 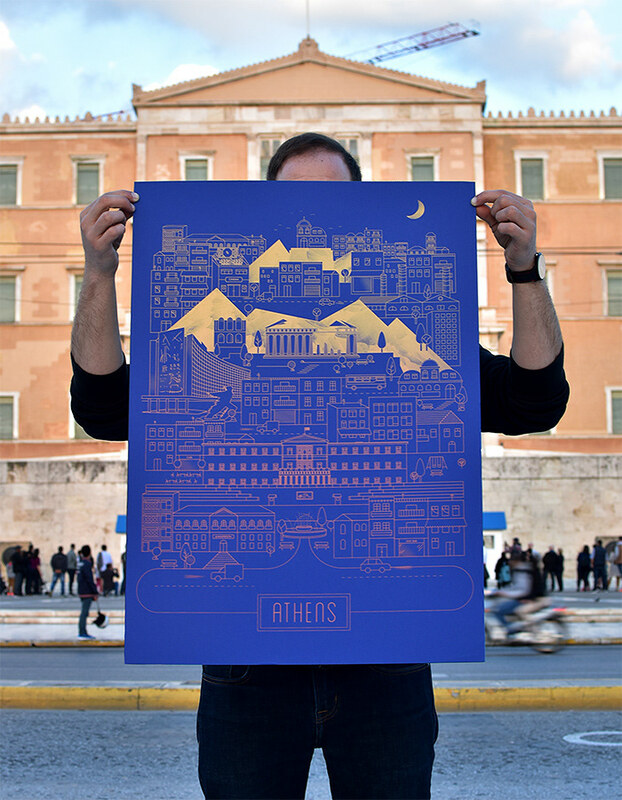 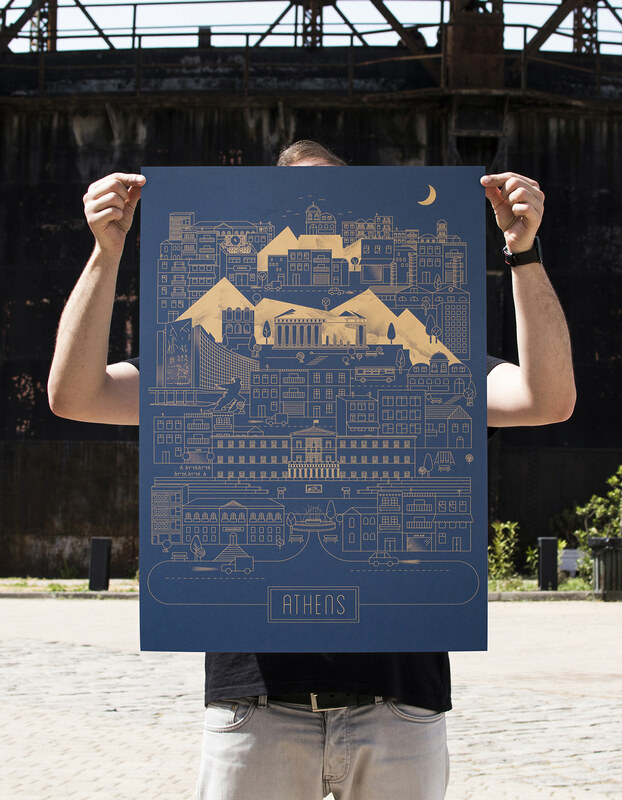 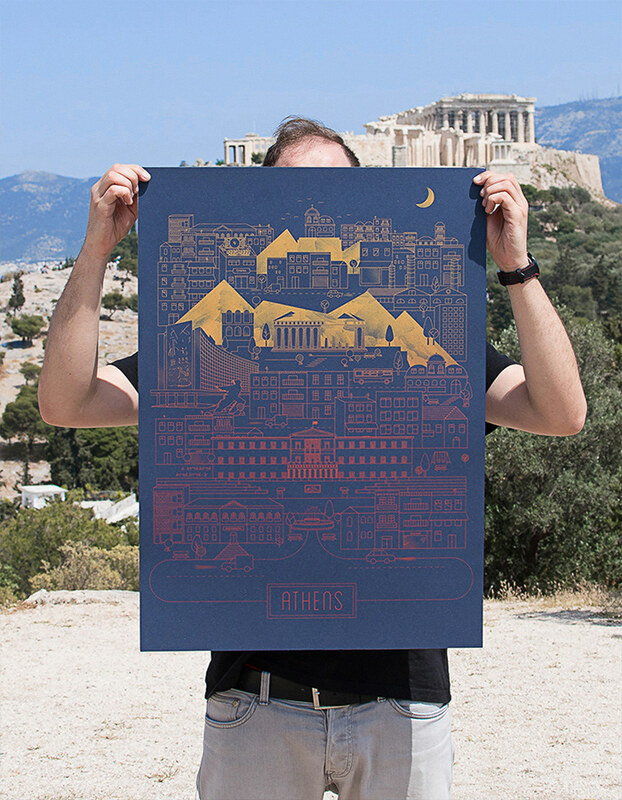 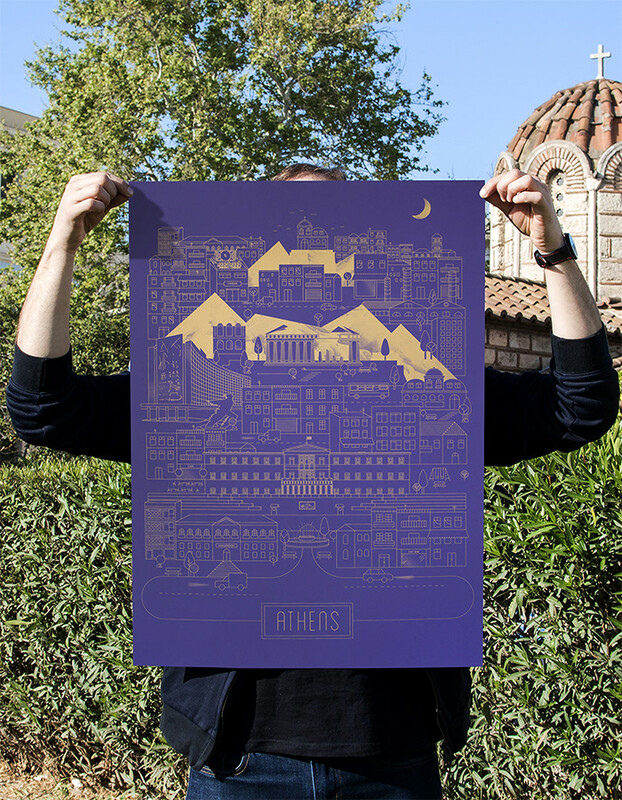 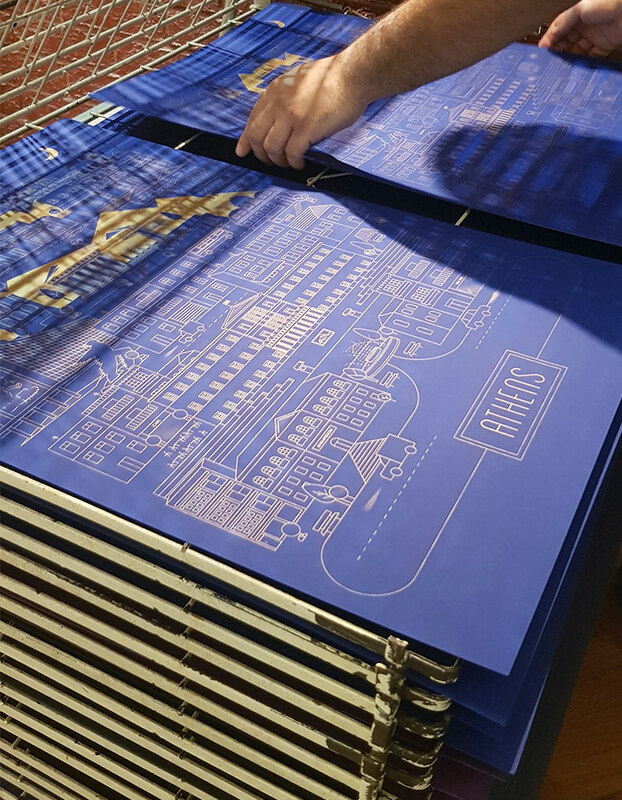 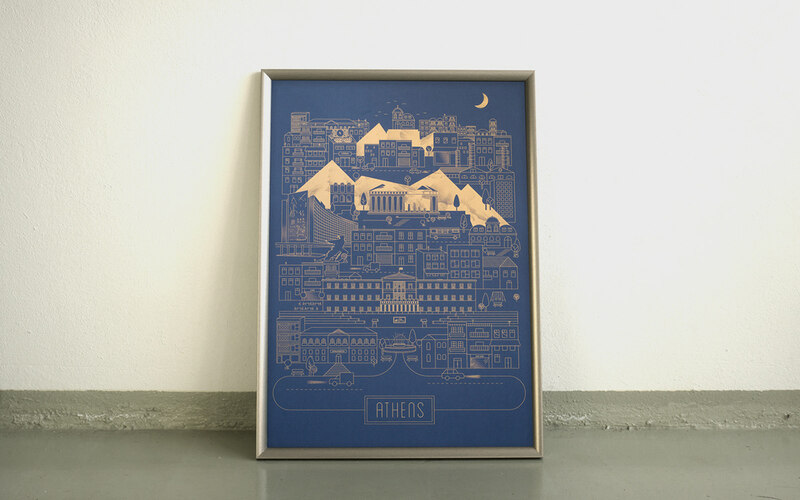 This poster series is a limited, love-crafted, hand-printed, silkscreen tribute to the city that is mostly famous for the Parthenon and the Acropolis. 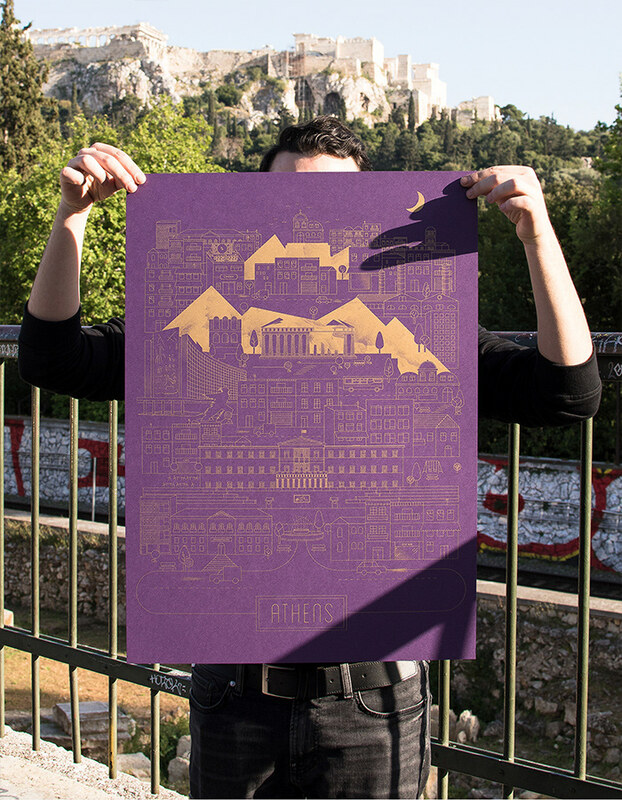 Originally designed for the INK Project Exhibition this poster is inspired by the very “heart” of Athens, its particular mix of different architectural styles and its crowded urban landscape. 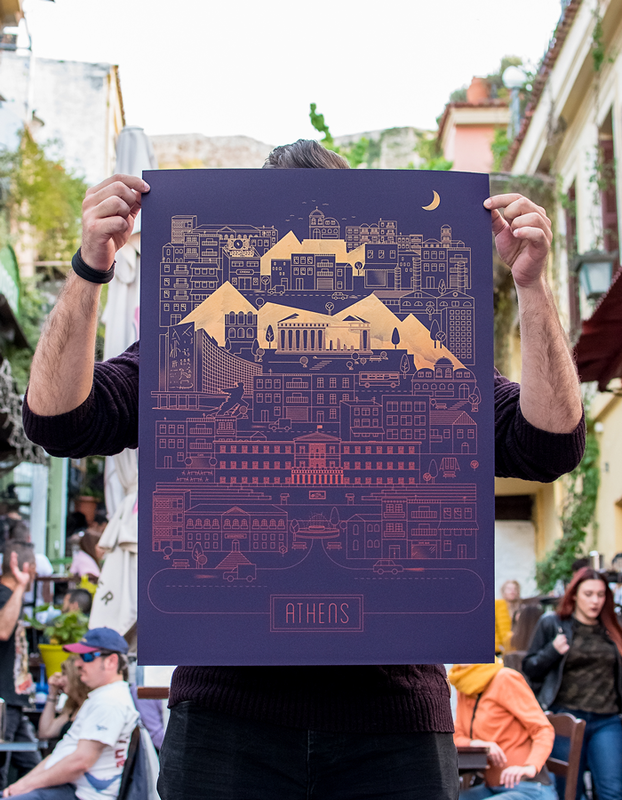 Historical buildings and monuments, churches and small green lungs together with hotels, nightclubs and blocks of flats depict the city’s classical and majestic side as well as Athens’ vivid and contemporary style. 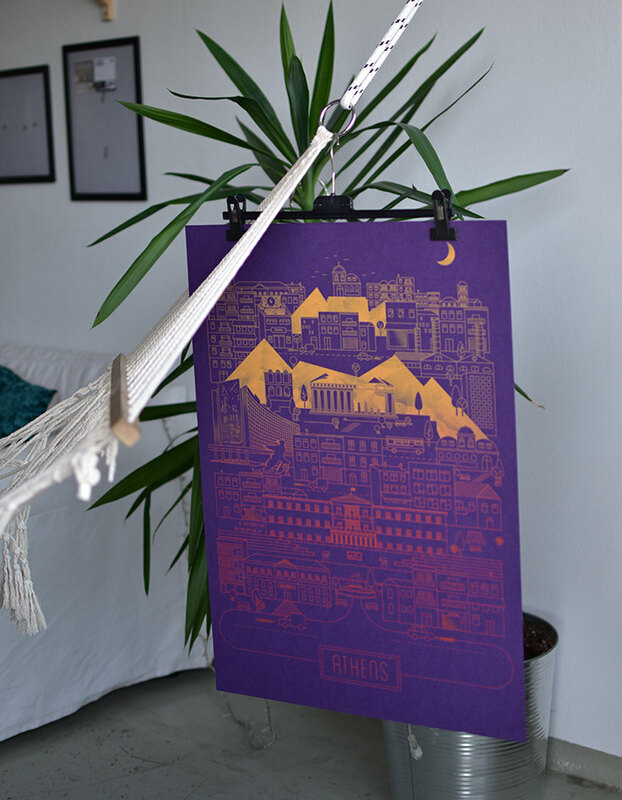 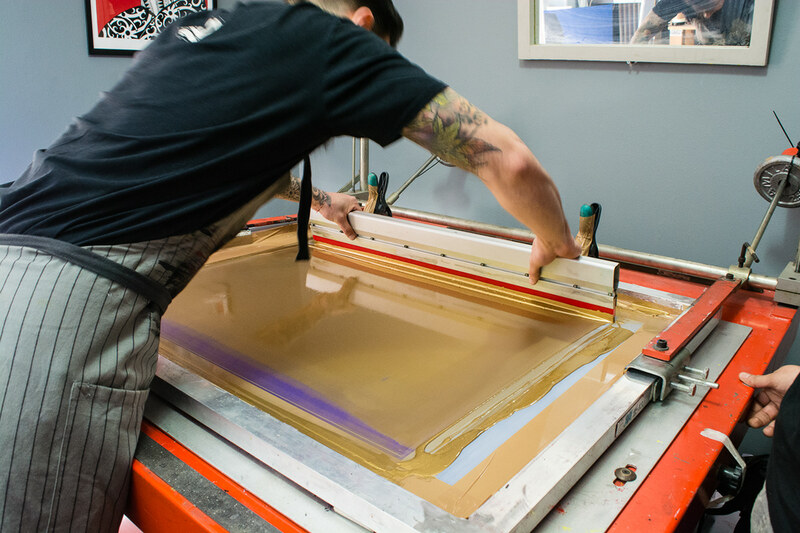 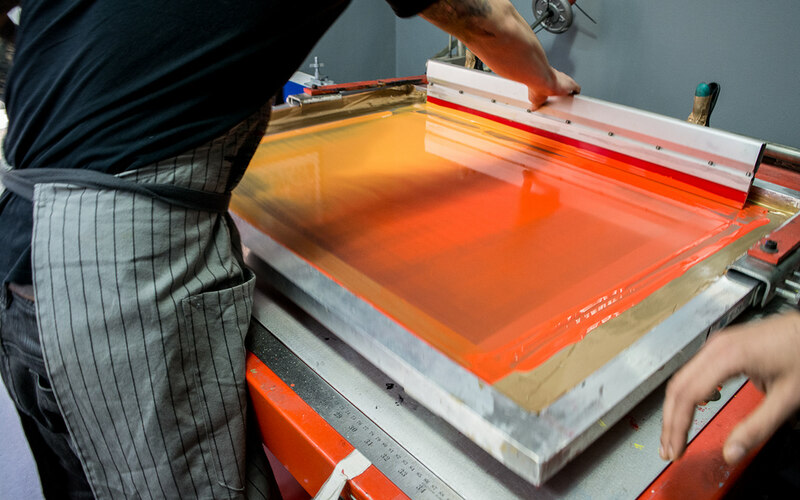 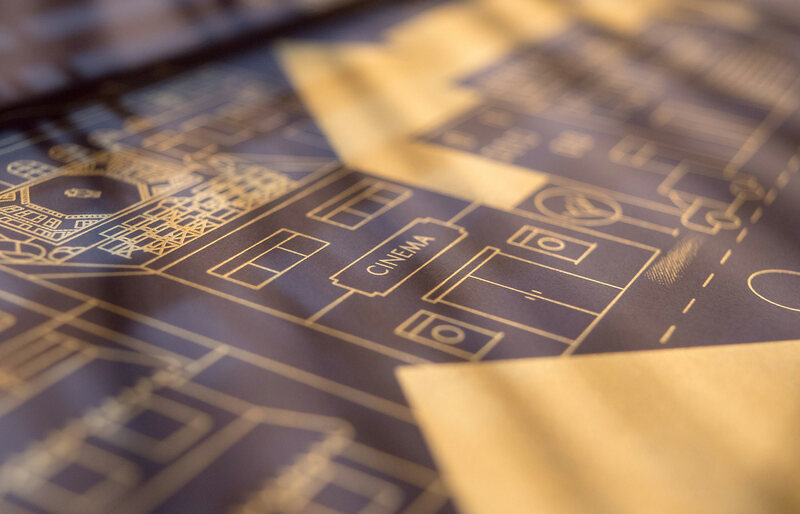 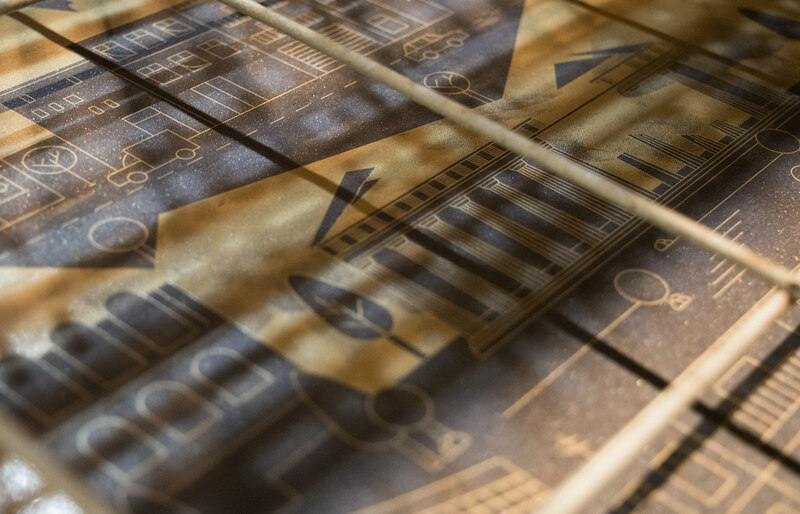 All posters are handprinted with love and care by the amazing SilkBastards, using gold and sunset gradient inks in a series of metallic and skin papers. 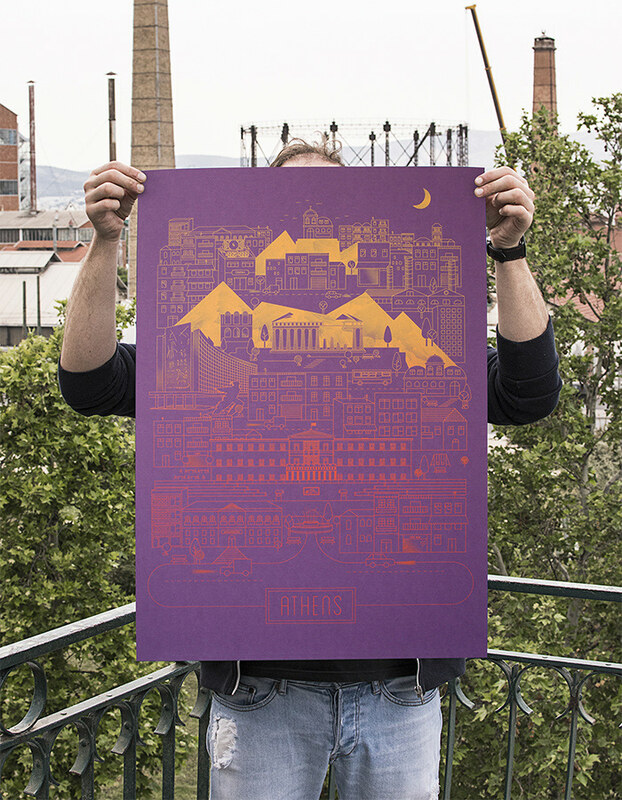 Order here your limited copy of this poster series. 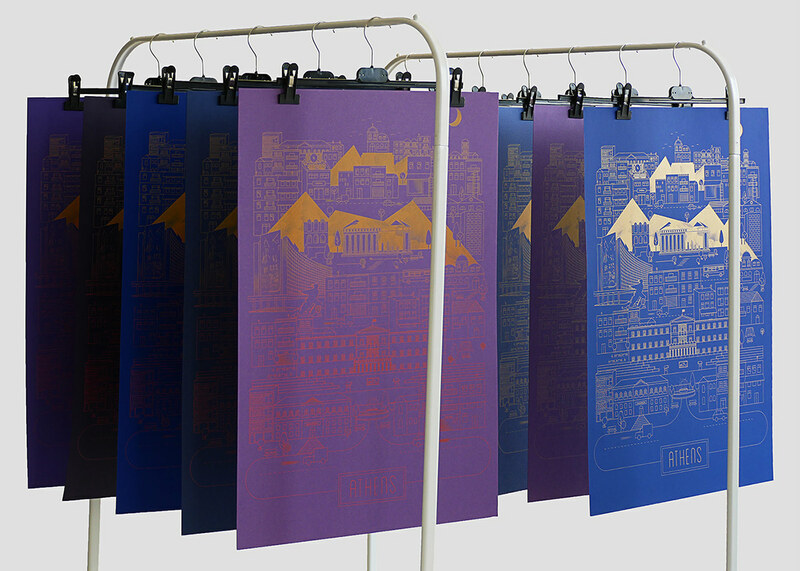 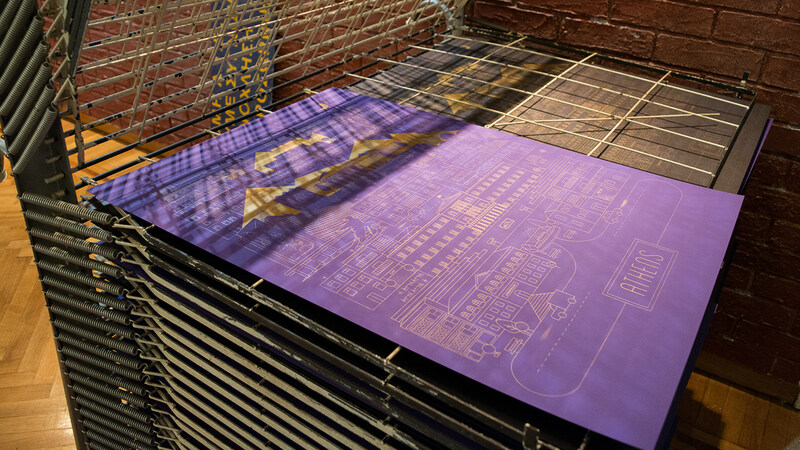 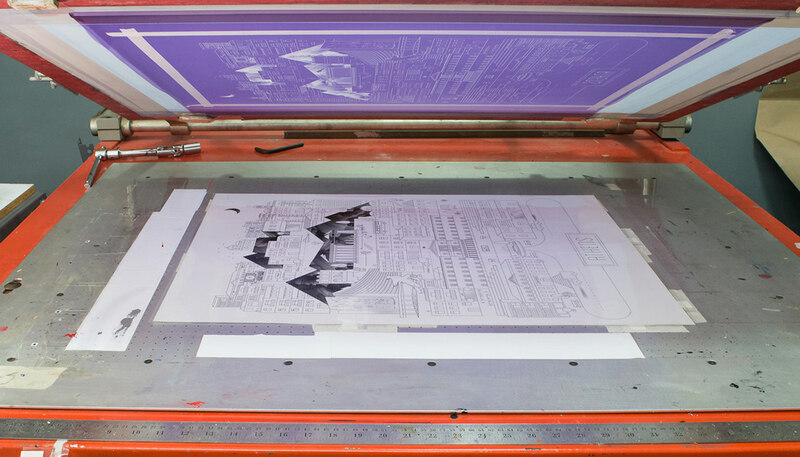 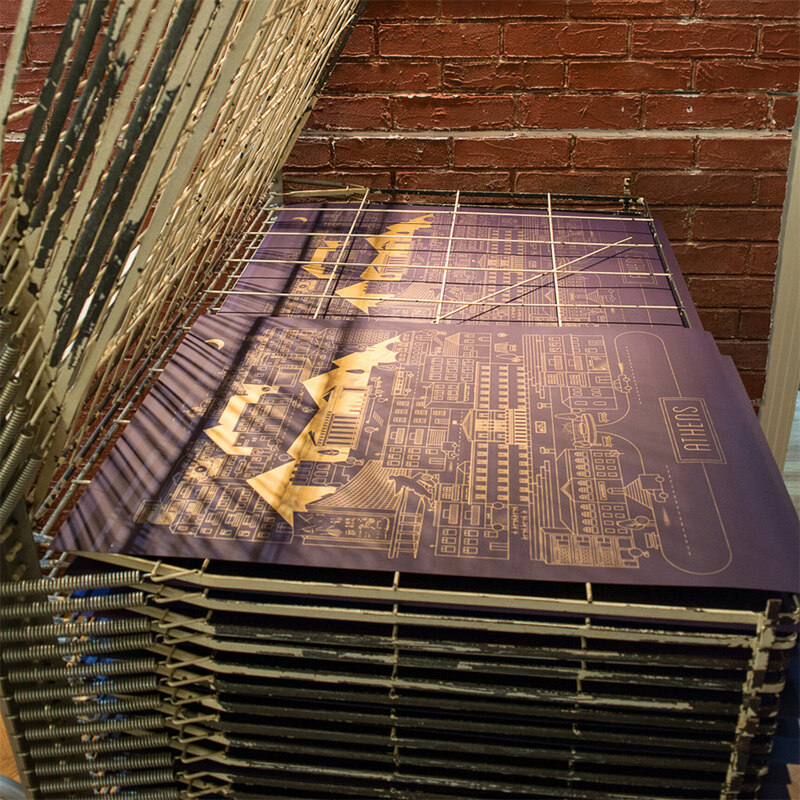 Due to the silkscreen printing process, the prints may slightly vary from the images shown. 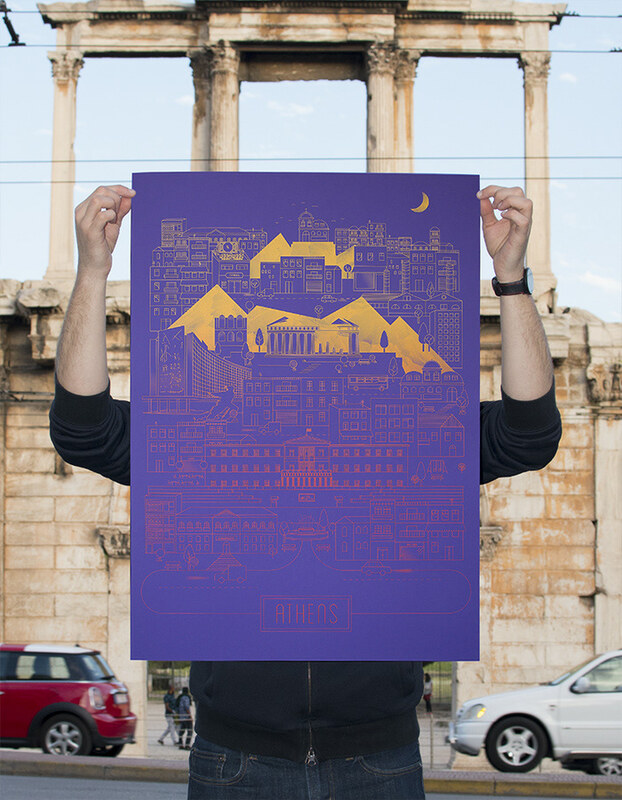 This poster series is a limited, love-crafted, hand-printed, silkscreen tribute to the city that is mostly famous for the Parthenon and the Acropolis. 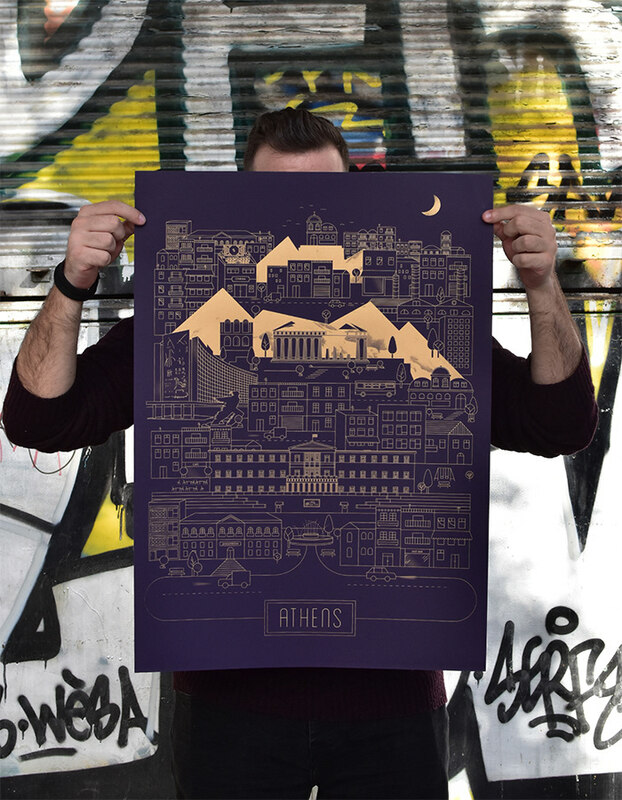 The poster is inspired by the very “heart” of Athens, its particular mix of different architectural styles and its crowded urban landscape. 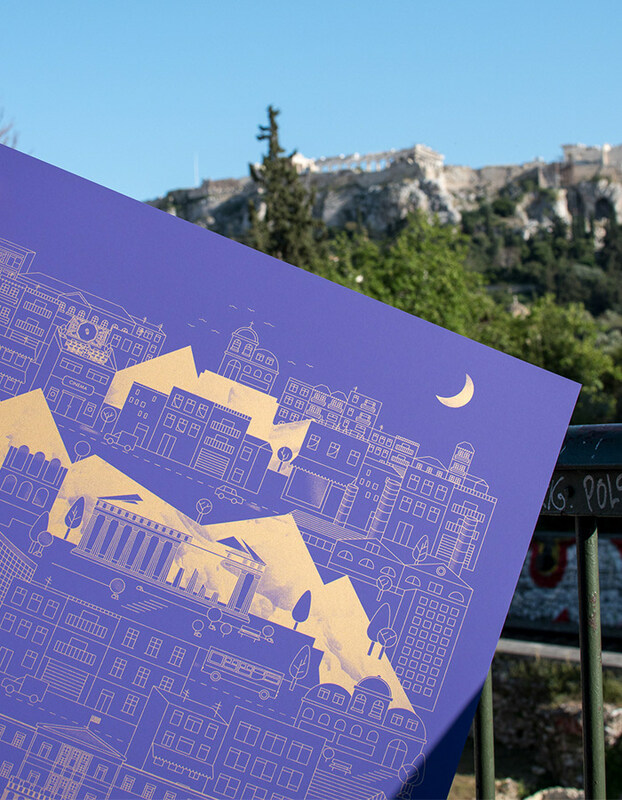 Historical buildings and monuments, churches and small green lungs together with hotels, nightclubs and blocks of flats depict the city’s classical and majestic side as well as Athens’ vivid and contemporary style.